If you have a Planes fan on your Christmas list, check out this great deal! 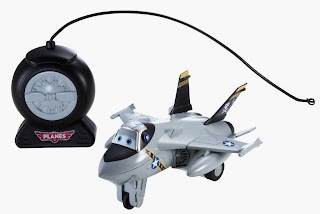 Right now you can get the Disney RC Planes Mini Rides Bravo Remote Control Vehicle for only $6.70! Plus it is eligible for FREE shipping on orders over $35. Even little kids can enjoy the thrill of R/C! Kids will love reenacting their favorite scenes from the movie!